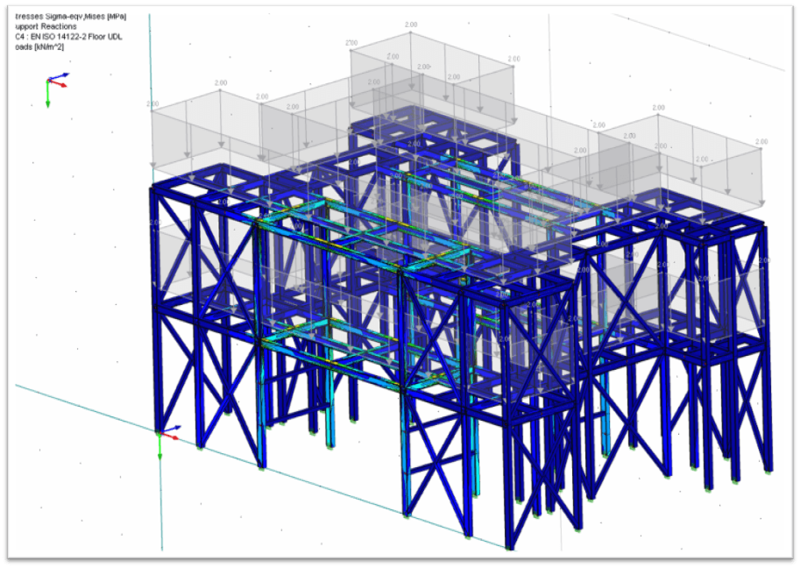 Mechanika Ltd recently undertook a full structural analysis of a 5-tonne aluminium staging structure for the aerospace sector. To provide a cost efficient and timely service to the customer, Mechanika Ltd identified bounding members and joints, the assessment of which covered all the hundreds of joints and members in the structure. This approach enabled a fast project turn around in order to meet the assembly schedule of the client.